If you need to save your driver's license or driving privileges, you MUST request a Motor Vehicle Administration hearing within 10 days of the Issue Date of the Officer's Certification and Order of Suspension, if you want a hearing before your license is suspended! (Your request will be INVALID if you don't include a check for $150.00 payable to "Maryland State Treasurer"). All requests for Motor Vehicle Administration (MVA) Hearings must be made within 30 days of the arrest (Your request will be INVALID if you don't include a check for $150.00 payable to "Maryland State Treasurer"). If time is running out, or if the 10 days have already passed, contact Scott using the links on this page. The Officer's Certification and Order of Suspension is the white Maryland MVA paper with red lettering (called the DR-15A in the upper right hand corner). This paper is your drivers license until your MVA hearing - carry it with you and care for it as if it is your regular driver's license! Even if you did not receive this MVA paper, the Maryland MVA will probably take action against your driving privileges. Scott can likely obtain a replacement temporary license if one was not given to you. Even if you have a license from another state, and even if the officer did not take your license, that state may also take action against your driving privileges. The Officer's Certification and Order of Suspension is valid for only 45 days from the Issue date. If you request the MVA hearing within the first 10 days, the MVA will send an extension letter to your address on file with the MVA. If you have moved, you need to change your address with the MVA. Do not confuse the request for a MVA hearing with your court date! The MVA and court proceedings are separate and independent. The outcome of one almost never affects the other. Sometimes the officer or the MVA confuses or misleads you to believe that the Officer's Certification and Order of Suspension is good "until the court date". If there are approximately 45 days from your arrest date to your court date, this may be a dangerous coincidence. It is usually several months before your trial takes place. If the Police Officer/Trooper requested that you take a test for alcohol after you were fully advised of the MVA sanctions that shall be imposed. You need to contact an approved Alcohol Education/Treatment Center to have an Alcohol Evaluation. 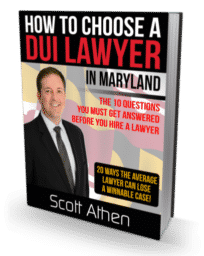 Download and read How to Choose a DUI Lawyer in Maryland - BEFORE you speak with any lawyer, including Scott! 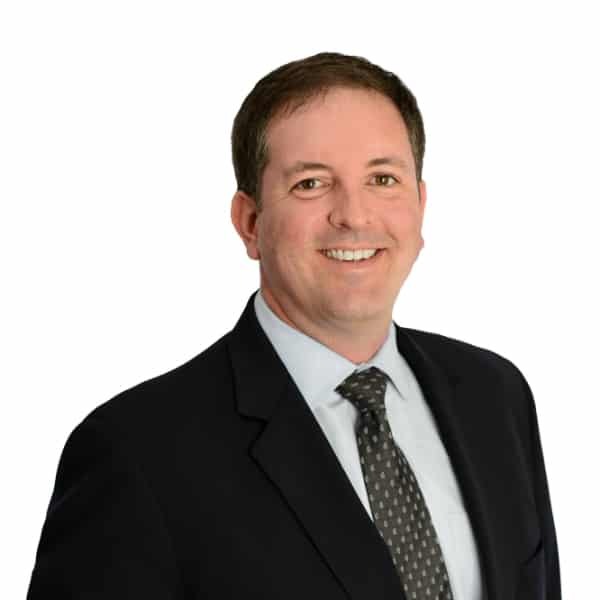 Do you have a DUI case that you would like Scott to evaluate? Fill out this short form and Scott will contact you to discuss your case. While some law firms substitute attorneys (imagine walking into court to see someone that you have never met there to represent you!) when you hire Scott Athen to represent you in court, you get Scott Athen!